As Parliament springs back into action following the General Election, the APPG AgDev is actively recuriting new members from across the political parties. The APPG AgDev has produced and is distributing a new briefing 'All Party Parliamentary Group on Agriculture & Food for Development: Promoting smallholder agriculture to end poverty and boost food security' to new and returning MPs. The briefing sets out of the vision and objectives of the Group, keys facts about smallholder agriculture, achievements of the Group to date and, most importantly, how parliamentarians can play a vital role in supporting smallholder farmers in this parliament. Having worked hard to push DFID and other donors to pay more attention to smallholder agriculture, we want it to remain a priority in this parliament. Over the coming weeks the APPG will be seeking to recruit new members to the Group ahead of a busy schedule of events and meetings in July. The final week of this Parliament has been a busy and exciting one for the APPG on Agriculture & Food for Development. On Tuesday members of the APPG met with Sylvia Banda from Zambia and Kola Masha from Nigeria – two inspirational African agribusiness entrepreneurs whose visit to Parliament coincided with the second roundtable in our Smallholder Agribusiness Development inquiry. Sylvia Banda is the Managing Director of Sylva Food Solutions in Zambia. Since 1986 Sylvia has created small businesses like Sylva Professional Catering Services Limited, which offers courses in hospitality and food processing and production and has trained over 16,000 students since its inception. Her businesses have successfully created markets for local farmers and emphasised local cooking methods. Her innovations include the 'Sylva Solar Dryer' for processing traditional vegetables, fruits and other food products, and the 'Matebeto Mobile Kitchen' – a kitchen on bicycle wheels. Sylvia founded Sylva University, the first and only university offering courses in catering south of the Sahara. Sylvia is an Ashoka Fellow and was awarded the Fellowship in recognition of innovation and intelligent methods of promoting nutrition in Zambia food through Post Harvest Training workshops. Earlier this year Sylvia was appointed as a Board Member of the Industrial Development Corporation by the President of the Republic of Zambia. On Monday 2nd February the APPG joined forces with the Global Panel on Agriculture and Food Systems for Nutrition and HarvestPlus to launch the Global Panel's Biofortification Policy Brief. The event included presentations from a distringuished panel followed by a lively Q&A. The policy brief lays out the technical evidence and arguments for supporting biofortification as one element of a nutrient-sensitive national agricultural research and investment strategy. Lord Cameron of Dillington, Chair of the APPG began the event by saying that there has been an interesting shift in research in the past few years where the focus has moved from resilience of yields to nutrition per hectare and that the topic of biofortification is a good example of this shift. Tim Wheeler, Deputy Chief Scientific Adviser at DFID welcomed the new policy brief on biofortification. He said it places biofortification initiatives in the reign of complementary approaches to reduce micronutrient deficiencies. 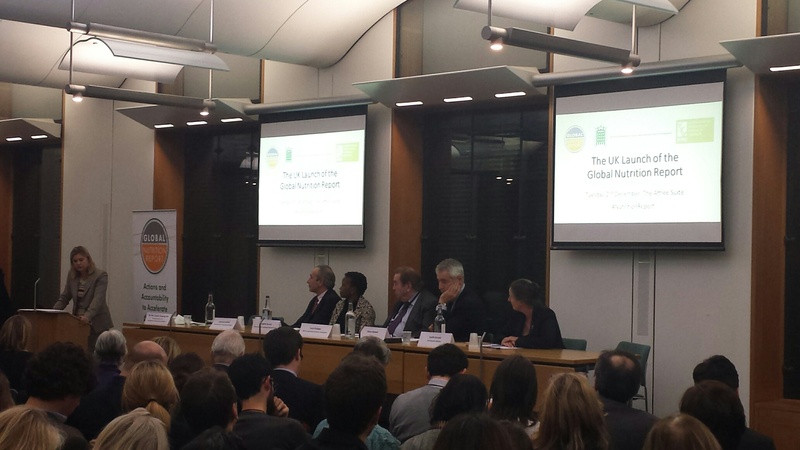 On Tuesday 2nd December the APPG hosted the UK launch of the inaugural Global Nutrition Report. The Global Nutrition Report, one outcome of the Nutrition for Growth Summit in London 2013, is the first-ever comprehensive narrative on global and country level progress in all forms of malnutrition and its drivers. The distinguished panel included the Secretary of State for International Development Justine Greening MP and Lawrence Haddad, Senior Research Fellow at IFPRI and Co-Chair of the Independent Expert Group that authored the report. This article is written by Tony Worthington on behalf of the Natural Resource Institute. 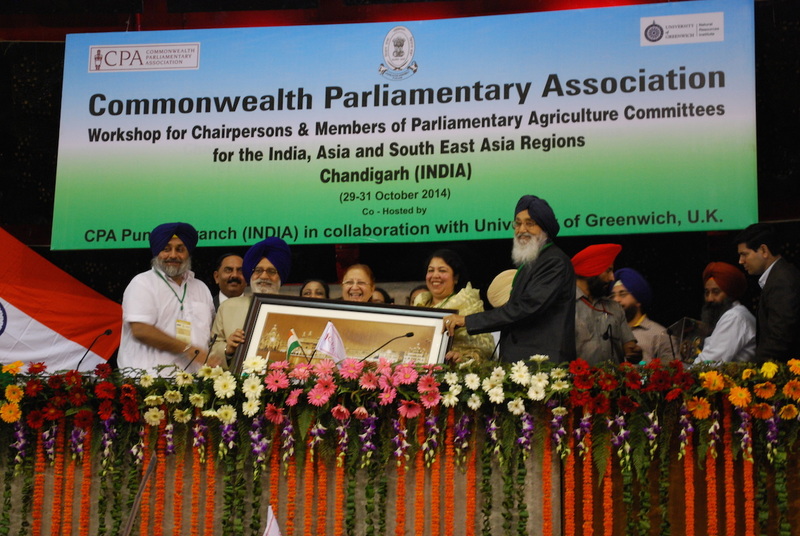 Parliamentary Agriculture Committees in developing countries have a hugely important function. The Committees are supposed to ensure the quality of the legislation regulating the industry that frequently provides work for over 70% of their country's population, to hold the government to account on its actions or inactions on agricultural matters, and to represent the interest of citizens in parliament. Their role is essential to ensure, for example, that women, frequently the majority of farmers, are properly safeguarded. They also have a role to play in ensuring that the internet is accessible to all farmers everywhere. At the recent APPG inquiry on ICTs (Information and Communication Technologys) in agriculture we heard from Digital Green. Digital Green, which is based in India, uses Digital Video for extension work. Digital Green has a data base of over 2,900 videos in 20 different languages lasting 8-10 min each, which have each been distributed to more than 250,000 farmers across 3,000 villages in India. Each video has been viewed on line on Digital Green's website and YouTube more than 2 million times. Fundamental to the Digital Green model is participatory content production. It is crucial that Parliamentary Agriculture Committees know of such organisations in both their central committee work and as constituency MPs. 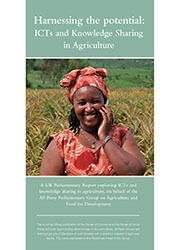 Today the All-Party Parliamentary Group (APPG) on Agriculture and Food for Development launched their report 'Harnessing the potential: ICTs and Knowledge Sharing in Agriculture'. The report advocates that Information Communication Technologies (ICTs) have the potential to improve the livelihoods of smallholder farmers in developing countries, offering great opportunities to increase their productivity, incomes and resilience. Whilst less than 10% of farmers in Africa and South America have access to the internet, almost 90% have access to basic mobile technology, including SMS. This rapid increase in mobile communication enables farmers in even the most remote locations to receive timely and targeted agricultural advice bridging the information gap that conventional public extension services cannot span. In India only 6.8% of farmers get support from traditional extension services, and in Africa the average farmer to extension ratio is 4000:1. In this context, ICTs have the potential to be powerful tools in agriculture. Through a series of seminars, the APPG heard that ICTs are already playing a critical role and are being utilised across the agricultural value chain offering access to information about inputs, agronomic practices, weather forecasts, pest control and the market as well as facilitating farmer-to-farmer knowledge exchange. ICT applications are providing access to financial services, mobile banking, micro-credit and micro-insurance. 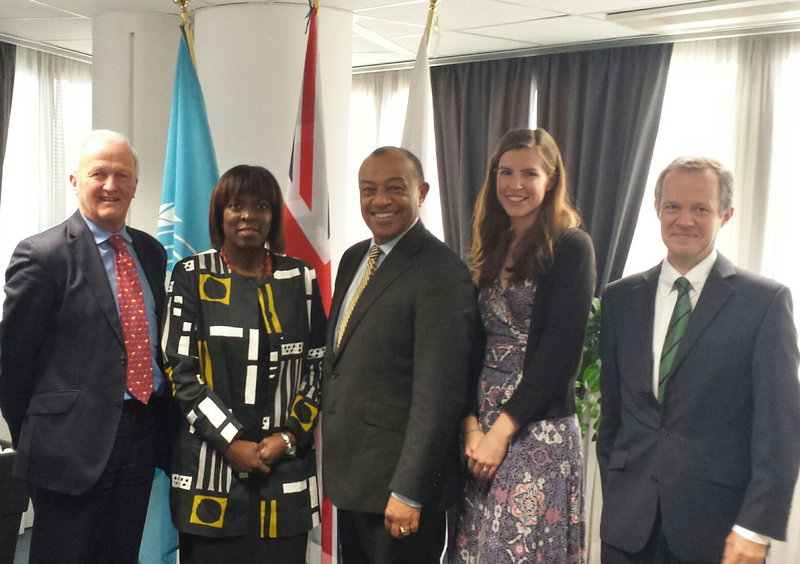 This week the APPG visited the UN Food and Agriculture agencies in Rome (11th and 12th November 2014) to learn more about the role and work of the organisations in promoting smallholder agriculture, particularly in Africa. Lord Cameron and Lord Boateng, together with Guy Poulter (NRI) and Lis Wallace (APPG Coordinator), had an action-packed agenda with meetings at the FAO, IFAD and WFP. During their visit the delegation met with Josè Graziano da Silva, FAO Director General, Michel Mordasini, IFAD Vice-President and Ertharin Cousin, WFP Executive Director, as well as staff at all three agencies focusing on engagement with the private sector, climate resilience and adaptation, gender and nutrition. 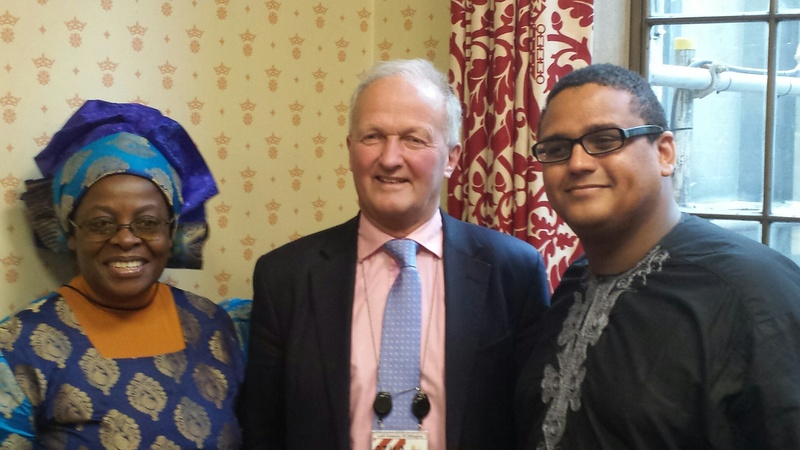 On Thursday 23rd October the APPG on Agriculture and Food for Development, together with the African Smallholders Farmer Group, hosted an event to celebrate the African Union Year of Agriculture and Food Security. We were delighted to host a distinguished panel. The Commissioner reflected on the successes of CAADP in raising the profile of agriculture on the development agenda both for national governments and for donors. As a result of CAADP agricultural expenditure in Africa has doubled, however, countries are still falling short of their commitment made in Maputo in 2003 when governments committed spending at least 10% of their national budgets on agriculture. Translating the Malabo Declaration into action the Commissioner said she wanted to see sustained commitment from African leaders and strengthened alignment between the priorities of national governments and the priorities of donors. In the Parliamentary Report entitled, ‘Missing Food’, published today, Parliamentarians of the All-Party Parliamentary Group (APPG) on Agriculture and Food for Development are calling on all governments and donors to urgently scale up and better coordinate efforts to reduce postharvest losses and food waste. All-Party Parliamentary Group on Agriculture and Food for Development. A third of food produced for human consumption globally is lost. At the same time the world will need about 50% more food by 2030. In Africa smallholder farmers produce more than 80% of food, but at the same time account for 50% of the food insecure. 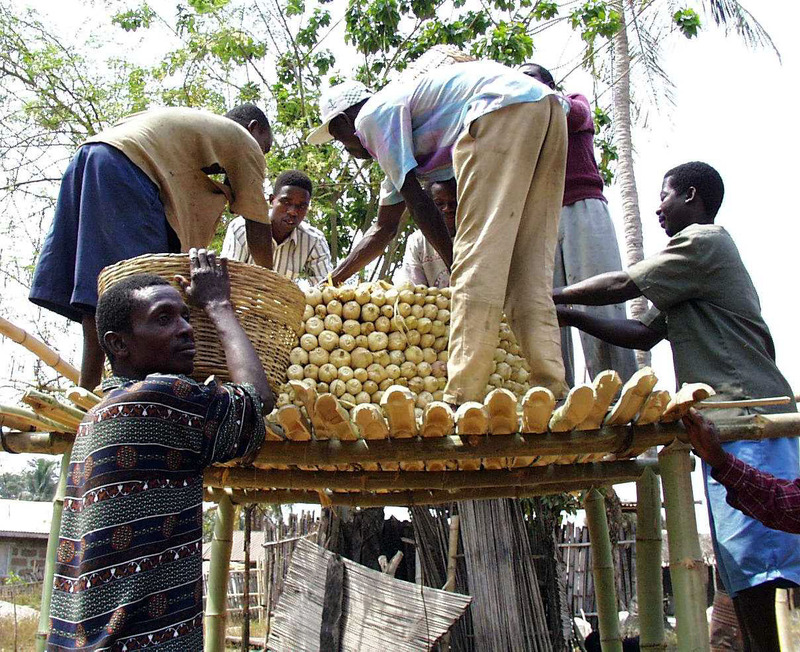 In developing countries losses of weight and quality accumulate along the postharvest chain, due in part to poor infrastructure. It is estimated that 14% of grains and a considerably higher percentage of fruit and vegetables are lost. Grain losses in sub-Saharan Africa alone translate into over $4 billion lost per year. Developed countries have much higher losses at the consumption level, where retailers and consumers waste food. 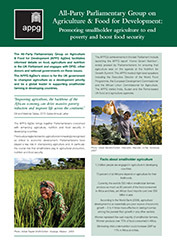 The APPG now wishes to conduct some field studies which look to give practical examples of where investments in agriculture have had impacts on improved nutrition – the focus country is India and specifically the State of Bihar where around 80 percent of the population are totally dependent on agriculture for their livelihood. Reports suggest that investment in agricultural development in Bihar have improved in recent times with the state now promoting value-added and processed agriculture to benefit farmers. Commissioner Piebalgs, "Investments in agriculture make good business sense"
European Commissioner Andris Piebalgs presented to the APPG on Agriculture and Food for Development on Monday morning (10th June 2013). 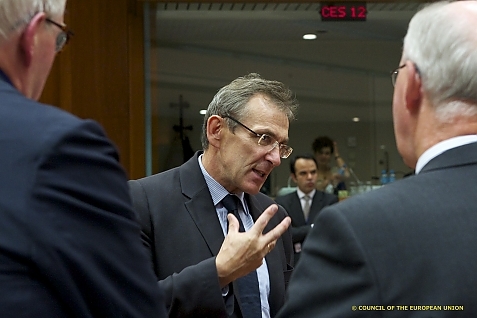 The Commissioner discussed his “agenda for change on sustainable agriculture as well as on food and nutrition security”. He mentioned that agriculture is now seen as a priority issue in Sub-Saharan Africa and in fragile states. 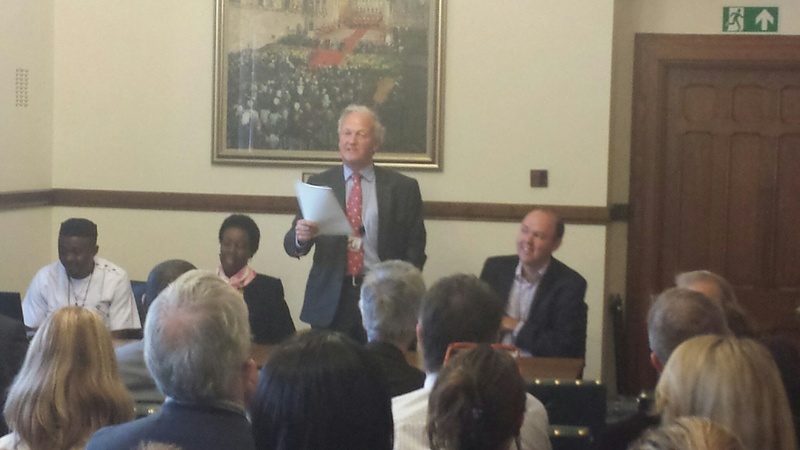 APPG holds event on "Nutrition for Growth"